You may set on the Customize panel which items that R-Wipe & Clean removes or cleans will be visible on various item views and accessible to you. You may clear the items you will never want to clean and they will disappear from all views. If you want to gain access to them again, select them once again. You may reach the Customize panel on the Main menu. 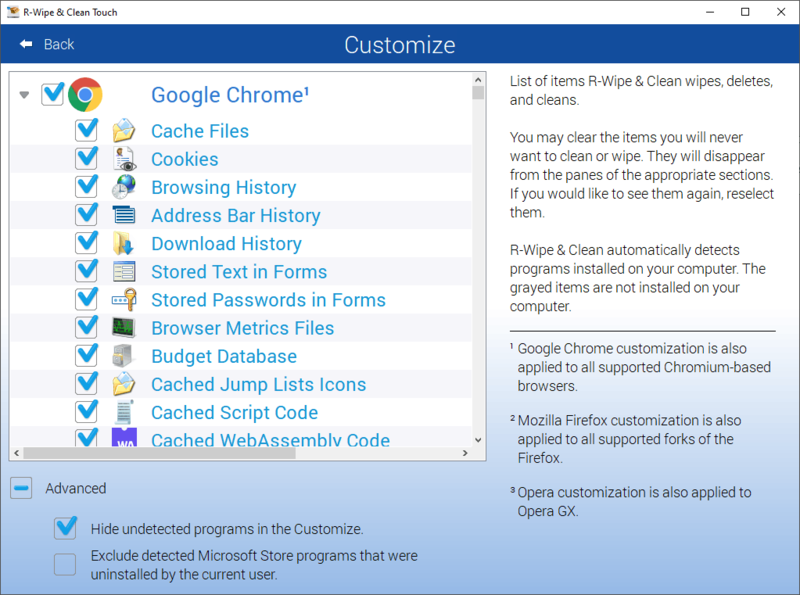 R-Wipe & Clean automatically detects programs installed on your computer. Items not installed are dimmed.